With Valentine's Day just a couple days away, I'm still making a few more cards! - And I was so glad I got the 'Best of Love' set. 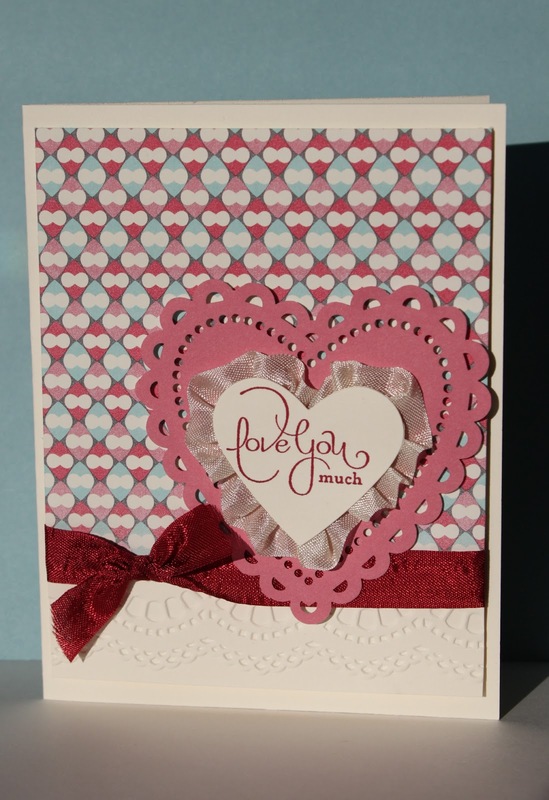 It's the special set this month for Stampin' Up! 's 25th anniversary. I'm sure I had this 'love you much' saying from a set from the past, but I love it along with all the pieces in the new set, and I especially love that they are all clear mount! 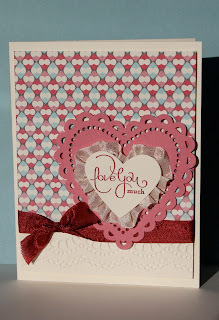 Besides using the More Amore Designer Paper, I added one of my favorite embossing folders (again! ), from the Delicate Designs set. Subtle, but I love it! !